“I’m a very busy young woman,” Carlisha Lynch recently said as she flashed her winning smile. And, indeed, she is busy. 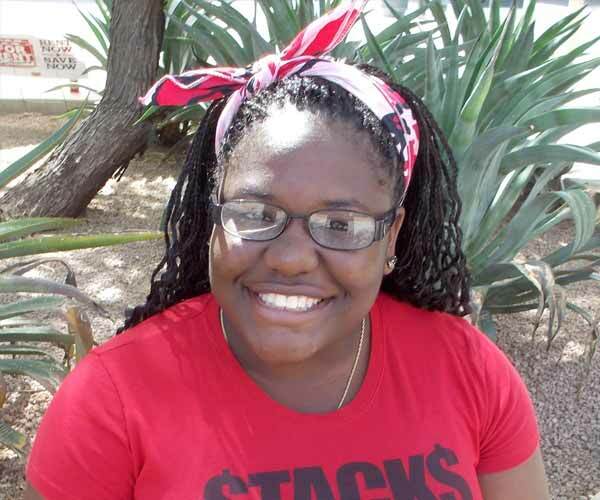 Carlisha is a senior at Marcos de Niza High School, spends her Saturdays at SMCC where she takes college-level courses, and volunteers at the Boys & Girls Clubs. In fact, she was named a 2013 Youth of the Year by the Boys & Girls Clubs of Metropolitan Phoenix (BGCMP). Carlisha picks up litter, feeds the homeless, and mentors younger students through her community service. She also volunteers at the BGCMP Dental Clinic as an assistant, which gives her the opportunity to shadow dental professionals that have inspired her to one day open her own dentistry clinic.